Here’s the truth: When The X-Files isn’t diving into bottomless rabbit holes of overlapping and pretentiously mystifying conspiracy theories, it can still be great, spooky fun nearly a quarter-century since its debut. Which is a nice way of saying if you can make it through this week's ponderous season opener, dominated by the gloom-and-doom pronouncements of the undying Cigarette Smoking Man (William B. Davis), some wonderful—and a few confounding—surprises and chills await. There’s delicious and timely irony in watching Agents Mulder (David Duchovny) and Scully (Gillian Anderson) continue their quest for truth in an era of "fake news" allegations, and the playful political satire is ripe when the White House ostracizes this fictional FBI. The truth behind what the must-watch 'X-Files' episodes are is out there, and we've found it! We’ve come to expect the stand-alone episodes to represent The X-Files at its most excellent, and that’s certainly the case in the first half of this 10-episode season, where a furious creative energy burns in tall tales during which people are stalked by murderous doubles, possibly hear messages from the dead—one familiar face in particular—and see monsters that aren’t there. Or are they? A profoundly hilarious keeper from maverick Darin Morgan even presents an alternate history of The X-Files, including modified opening credits. The chemistry between Duchovny and Anderson is as potent as ever, and when Mulder promises to always be there for Scully, "offering bulletproof theories of genius that you fail to assail with your inadequate rationality," oh, how we want to believe. Here they come to save the day! But can they save themselves? That’s the win-some, lose-some proposition behind Fox's 9-1-1, a new action series that takes the time-honored Emergency! format to gasp-inducing extremes. As long as these first responders are on the job, careening from one wild crisis to another—one involving a newborn had me transfixed—9-1-1 has the makings of a hit, as propulsively watchable as anything the prolific Ryan Murphy and his team have ever produced. It’s when we go off-duty with these heroes, played by one of TV’s most ridiculously overqualified casts (Peter Krause as a tightly wound recovering alcoholic, Connie Britton as a mopey dispatcher, Angela Bassett as an angry married cop), that the show flatlines with maudlin subplots that might have been rejected by General Hospital. And maybe this wasn’t the best time to feature a cocky young firestud (Oliver Stark) who uses the big red truck as a seduction tool. I tend to be skeptical of shows whose characters gush about their jobs, but with 9-1-1, I get it. Home is not where this show’s heart is. 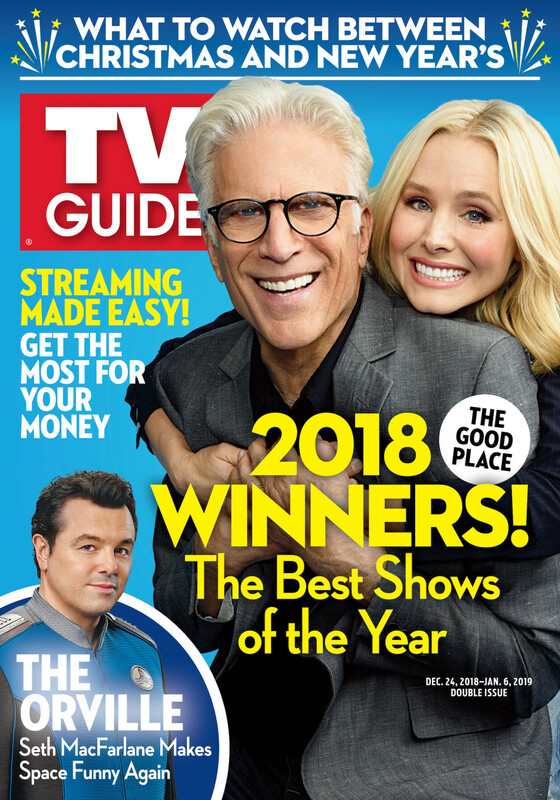 This article also appeared in the Dec. 25 - Jan. 7 issue of TV Guide Magazine.